Strawberries are one of the best tastes of summer; simple, sweet and bursting with the flavor of fresh berries. 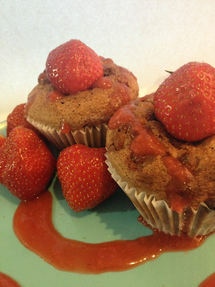 Fresh strawberries at the peak of their season are folded into a flaky muffin recipe and baked to perfection. The simple, understated flavors in this recipe allow the strawberries to really shine, making them a perfect way to start any morning. Serve smeared with warm butter, alongside a cup of coffee for a memorable snack on a weekday morning. 1. Preheat oven to 400 degrees F. Grease a muffin tin and set aside. 2. In large bowl combine flour, sugar, cinnamon, baking soda, and salt. 3. In medium bowl whisk together eggs and vegetable oil. Add strawberries and combine. 4. Fold egg mixture into flour until just moistened, but still slightly lumpy. Fold in walnuts. 5. Full muffin tins about 2/3 of the way full. 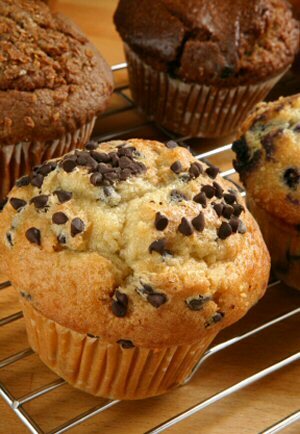 Bake for 15-20 minutes until slightly browned, and a toothpick inserted into the center of a muffin comes out clean. 6. Allow to cool slightly before serving.